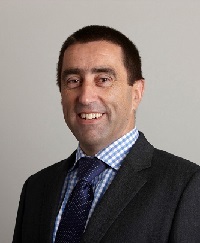 Mark Briffa is CEO of Air Partner, a global aviation services group founded in 1961 that provides worldwide solutions to industry, commerce, governments and private individuals. He talks to BTN about overcapacity of wide-body aircraft in the charter sector and new ways Air Partner is dealing with it. Q. Is there much overcapacity of wide-body aircraft? If so, can you quantify it? In the height of the summer season, when everyone is jetting off on holiday, both narrow-body and wide-body aircraft are used to cope with the high levels of demand. However, as we enter the quieter winter months, it is not unusual to see overcapacity of wide-body aircraft – not just from operators within the charter market, but also in the scheduled service airline market as well. This year at Air Partner, we have utilised more capacity from scheduled service carriers on a full charter basis as they look to diversify and find additional revenue for their aircraft outside their traditional route networks. Customers of ours that use wide-body aircraft include sports teams and governments travelling over longer distances who want the space, flexibility and convenience afforded by a private charter. Q. What has led to this? This has happened as newer wide-body aircraft with better technology and more efficient operating costs are introduced into the market, which has resulted in some of the older models needing to be placed with a new owner, lessor or operator. The A350-900 and the B787-9 are both examples of newer aircraft entering the industry and taking over from the some of the original A330s and B777s, which are then left needing new homes. Air Partner’s Remarketing team recently placed several of Kenya Airways’ B777s with Omni Air International in the US; this transaction between a scheduled carrier (Kenya Airways) and a predominantly charter operator (Omni Air) is a good example of how aircraft can be superfluous to requirements at one carrier, but used elsewhere under a different business model. Q. What advantages or disadvantages does overcapacity bring to charter? Overcapacity brings both advantages and disadvantages to the charter market. The main advantage is having access to increased supply, which means that you can give customers a range of options, depending on their requirements. The disadvantage is that, in such a competitive market, charter prices get pushed down: then, when demand goes back up, prices increase as fewer aircraft become available. Explaining this variation in pricing to customers can be tricky, and in some cases the fluctuation squeezes budgets, making charter less competitive. Q. What impact does it have on the wider aviation sector? Unfortunately, overcapacity in the market often means aircraft are sitting on the ground, not flying. All the time this is the case, these planes are not earning the revenue that is vital not just for the airlines, but also for the wider industry serving them. If there are no flights, then there are fewer opportunities for crew to fly, and the aircraft doesn’t need to be fuelled and catered – so all these types of service providers are potentially affected. What Air Partner can do is work with the airlines to find business to get the aircraft off the ground again. Q. How have suppliers like you been able to take advantage of this overcapacity in air charter? We use more capacity in the market as an opportunity to widen our supplier network and work with airlines that we have perhaps not worked with before. Since our business is very much relationship driven, these new connections are important to us and give us access to new products which we in turn can offer our customers. Q. How can customers be helped to take advantage of overcapacity? A lot of customers are intermediaries such as travel management companies and event organisers, who ultimately have an end user that will fly on the charter itself. With new aircraft available in the market, they can be helped to offer their clients solutions that may be more attractive to them. For example, where previously an all-economy aircraft may have been the only option available, overcapacity – and therefore more choice – in the market could mean a multi-class aircraft can be chartered for a similar cost. This gives customers the ability to offer their premium passengers more space and a more comfortable seat, which ultimately leads to a more satisfying experience and a happier client for them.